Warrior Women is the untold story of American Indian Movement activists who fought for civil rights in the 1970s, and the children who served as their inspiration and their cohorts. The film is anchored by one of the Red Power Movement’s most outspoken Lakota leaders, Madonna Thunder Hawk, and her daughter Marcy Gilbert. Together, they weathered some of the most turbulent battles for Native sovereignty in the modern era: Thunder Hawk as an activist and mother, Marcy as a teenager growing into a young woman while sharing her mother with a movement that was bigger than either of them. Thunder Hawk lived through a time when Natives were ashamed to be themselves and violently pressured to conform to white culture or punished for holding on to what little Native identity they had left. She did not want her children to live through a continuation of that history. Now, forty years later, Madonna is moving into the twilight of her life, fighting the inevitable slowing she dreads. She constantly worries aloud who she will “pass the torch” to. 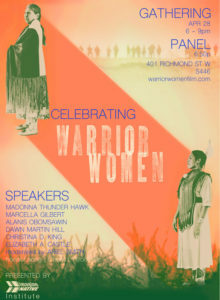 Warrior Women unveils not only the women’s perspective on history, but also real-life activism echoing far beyond news events into generations to come. 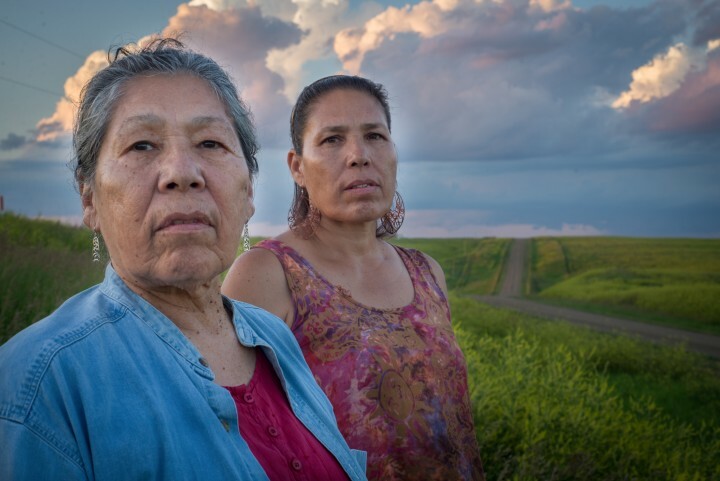 Co-directors Elizabeth Castle and Christina D. King stop by to talk about the Native American struggle for human rights and social justice and the strong women who continue to fight for their homeland, values and people. This entry was posted in documentary, drama, Film Festival, Film School interview, HotDocs Film Festival, Indie by admin. Bookmark the permalink.